Upon crossing the border bridge between the United States and Mexico early last summer, a family of three from the Democratic Republic of the Congo told Border Patrol agents that they needed to apply for political asylum. They were processed, told to wait in a cold holding room, and quietly shipped to disparate corners of the country. This family fell victim to the forced separation policy; the mother was detained for many months in an immigrant prison in Texas, while the father and son tried to survive on their own, with little aid, in a foreign country. After many months of traumatic separation–marked, for the father, by nights of nausea and insomnia; measured, by the mother, in waves that shifted between hopelessness, fury, and numbness; and suffered, by their three-year-old child, with a refusal to eat and a terror of spending a moment apart from his father–Casa Marianella, in conjunction with advocacy efforts from Grassroots Leadership and legal representation from American Gateways, has been able to get the mother out of detention and bring this family back together. Though they’re reunited, there are still many steps on their path to stabilization and self-sufficiency. Now, they’re trying to acclimate to norms in the United States, find work and make a stable income, learn English, enroll their young son in school, prepare for the daunting price of renting an apartment in Austin, and confront the ongoing effects of the trauma they experienced in the violent unrest in their home country and through incarceration and family separation in the United States. In addition to the many hurdles they’re doggedly crossing, this family is also dealing with food insecurity. With the family reunited, their toddler finally found his appetite again, but because of his immigration status, he’s ineligible for food stamps and other state benefits. With sparse employment options, the parents have struggled to ensure that they’ll have nourishing food on the table for themselves and their child. One factor further exacerbates their experience of food insecurity: this family follows a denomination of Christianity that advises against the consumption of animal byproducts. Of course, vegan products are often more expensive than other options for protein at mainstream grocery stores, so this family fears that their lifestyle and religious practice may be inaccessible to low-income immigrants in the United States, like themselves. Feeling unable to follow their faith and cultural traditions has mounted the psychological distress of their transition to life in Austin. At Casa Marianella, we support our residents with as much food as we can–in part, thanks to generous donations from local stores, individuals, and the Central Texas Food Bank–but with few resources and many, many residents to feed, it’s challenging to adequately serve everyone’s specific dietary needs. Thankfully, Casa Marianella exists in the corner of the globe perhaps best primed to rally behind a family of vegan asylum-seekers–Austin, Texas. We put a call out to a few local groups explaining this family’s struggle to access religion-appropriate food, which was immediately met with overwhelming enthusiasm to help out. 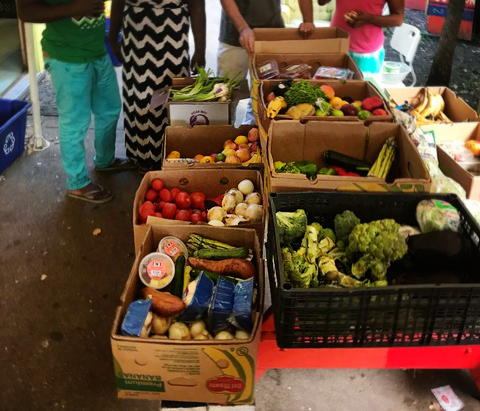 We’ve been touched and humbled by the deluge of responses, from individuals offering to bring over home-cooked vegan dinners and local bakeries promising healthy breakfasts to business owners donating giftcards and farmers offering to deliver produce that might be familiar to folks coming from the DRC. The volume of responses from folks eager to help was a stirring remind of how lucky we are to do our work supporting asylum-seekers and migrant people in a town so rich in welcoming and good-hearted communities. The warmth and compassion that our neighbors share with us enable Casa Marianella, and our residents, to flourish, in spite of the multitude of formidable barriers that our residents face. If anyone else would like to help this vegan refugee family stay healthy and nourished, please get in touch with Kate at kpoor@casamarianella.org. We are so grateful for any and all support–thank you! we are interested in donating food, were will that location be and the timing Thanks.